The Power Review Books are complete, multi-sensory, self-contained units with instructional notes, hands-on activities, practice and assessments all in one place. Every question in every passage is written specifically for the TEKS. Included within the books are inspirational quotes, test-taking tips for each day, ice breakers, or vocabulary warm-ups, STAAR Practice and journaling tips. The Power Review Books are written to be used in two-week reviews during school or as part of a summer program. The books can also be used as part of a lab setting in conjunction with the Practice and Assessment books. 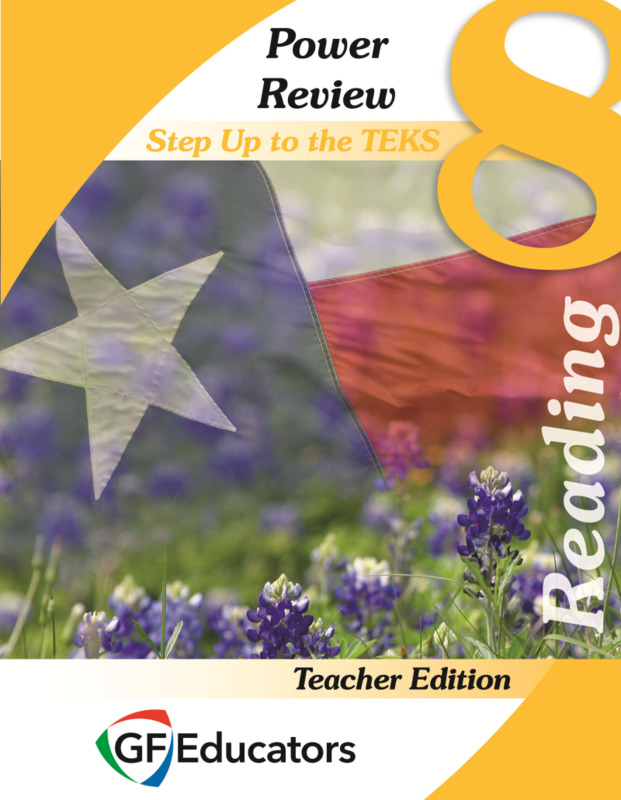 View a Sample of the 8th Reading Power Review Teacher Edition by sending an email to info@stepupteks.com asking for the password. Accompanies the 8th Reading Power Review Student Edition.